Panasonic's second generation 1080p projector, the PT-AE2000U, is a significant step beyond last year's impressive AE1000. Topping its long list of great attributes is its outstanding contrast and black level performance. On these measurements it outperforms every other 1080p projector we have put it up against that is anywhere near its price range. And along with its high contrast comes excellent color saturation. 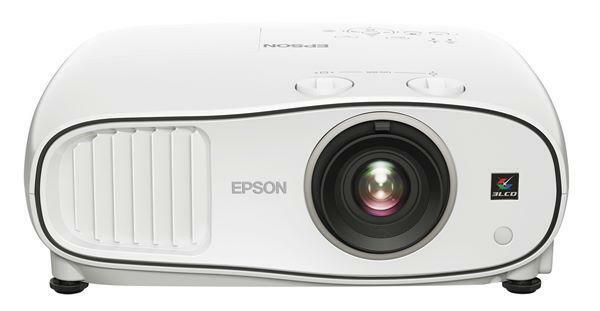 Selling at an official street price of just $2,699, it is one of the most formidable and competitive of the new 1080p projectors released this fall. Light Engine: 1920x1080, native 16:9, 0.7" LCD with a 165W UHP lamp. Video Compatibility: 1080p/24/50/60, 1080i, 720p, 576p, 576i, 480p, 480i. NTSC/PAL/SECAM. Connection Panel: Three HDMI 1.3 ports, one 15-pin VGA input, two sets of 3-RCA YPbPr component video, one composite video, one S-video. Lens and Throw Distance: 2.00:1 powered zoom/focus lens, with manual vertical and horizontal lens shift. Throws a 100" diagonal 16:9 image from 10 to 20 feet. How does the bightness and contrast, black/white levels and sharpness of this projector compare to the PT-AX200 and Sanyo PLV-Z5. I know they're 720p but resolution is not as important to me as is the brightness/contrast/sharpness etc. Here are my comments about the projector. I bought mine two weeks ago and I've had it setup last week... It is in replacement of a Panasonic PT-AE900. Picture quality is very impressive compare to the AE900. Especially with HD materials like blueray or hd-dvd. But I found that even my average DivX TV recordings looked better. I will pass on everything that I find great as it's been commented on already. Heat: The AE2000 pump a lot of hot air ! it increases very rapidly the temperature of my room by a few degrees (room is 4.8m x 3.5m * 2.8m high). It's getting warmer here in Oz (it's summer here) and it's going to be an issue soon. Noise: The AE2000 is significantly louder than the PT-AE900, I can hear the projector over my xbox 360 ! it's rather annoying when watching a dialog scene. I'm quite surprised here as most reviews mentioned how this projector was virtually silent. I had a listen in another store and it was producing the same level of noise, so it's definitely not my unit. Low light vs normal: Well, other than the fan is a bit quieter in low output mode, I can't tell the difference between normal and low. the difference in the AE900 was significant. Picture is very bright (lumen-wise), in fact the whites are somewhat hard to watch (I use Cinema 1 settings). It could be that I'm just so used to the AE900 picture which was definitely not as bright. Whites sometimes make me frown. Manuals: they are crap. The PT-AE2000 is extremely feature rich, none of those features are well-explained. Pretty much nothing on how to use the waveform screen nor is there a chapter on how to best set the projector. motorised zoom and focus: While it's extremely convenient to be able to stand next to the screen while setting the focus, I do believe now that you can achieve better result with a manual one. The various steps aren't that progressive. Say you press 5 times the focus+ on the remote and again 5 times on focus- you won't be back where you started. The jumps between 2 changes is too high and in my case I've always felt that the perfect focus is right between two settings. It took me a fair while to get the perfect focus, it would have been much faster with a manual one. "Remote control. Something very annoying with the Panasonic remote is that you do not have discrete IR codes to go to all different kind of inputs. Say you want to go to HDMI2, you have to cycle through all inputs until you get on HDMI2. Very annoying if using say a Logitech Harmony remote as often the input on the projector won't be correctly set after running a macro. The AE2000 has an edge over the AE900 as you can define 3 buttons to be whatever you want. But that's not enough with so many inputs (I'd like 2 more, so I get with the press of one button: HDMI1, HDMI2, HDMI3, Component, Video, VGA)"
How do these function buttons work? Are you able to teach a learning remote discrete input codes? Reply about: "How do these function buttons work? Are you able to teach a learning remote discrete input codes? btw, I wish reviewers would pay more attention to the availability of discrete codes. Sanyo is much better than Panasonic in this regard"
The remote has three buttons at the top. You can assign a specific function to one of the buttons. Like HDMI1, HDMI2 , Set Focus etc... Then using the logitech I just learnt the code for those 3 buttons. One other issue with the PT-AE2000. I'm not sure it's my unit or it's the same for all units. When you turn the unit off, you can hear the lens moving back. And when you turn it on, the lens go back to its earlier position. On my unit, after a few off/on cycles, the focus will be slightly off and will require re-adjustments. I believe this is related to my previous comment that you can't not control the auto-focus very accurately as the steps between each settings are too big. I have one with 400 hours on the bulb, but it has developed an annoying flicker. The light just pulses and returns to normal. I had been running it in Eco-Mode for the first 350 hours when it started to happen but I read on a forum that running in Eco-Mode can damage the bulb resulting in this effect. Don't know how true it is but for all you other owners who have not experienced this yet it's might be worth looking into. 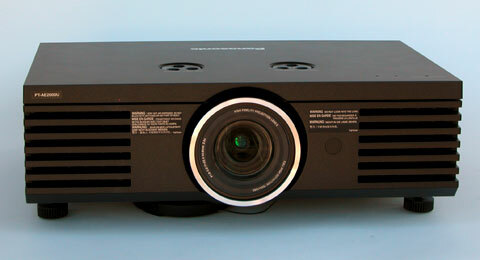 Does anyone know when the new 2009 Panasonic projector replacing this unit will be out? Any rumors of what it is like? Panasonic Refused to honor their 2 year warranty extension rebate! Its a dealbreaker for future Panasonic purchases!